2. 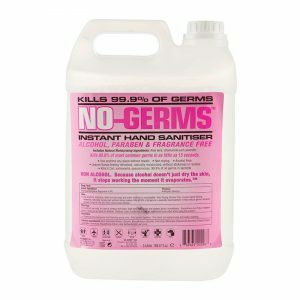 Alcohol Free, so it wont dry out your hands. 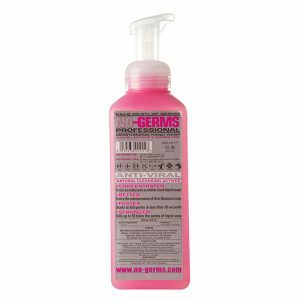 Moisturizes with Aloe Vera, Chamomile and Lavender. 3. Suitable for frequent use, unlike alcohol gels that dry and damage the skin from the first use. 4. 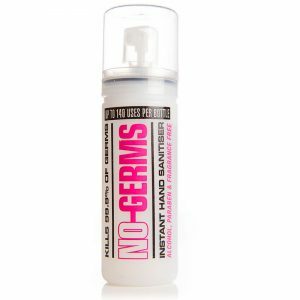 #1 Alcohol Free Hand Sanitiser in Europe. 5. 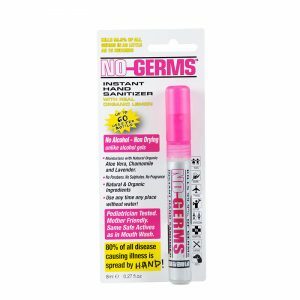 Twice as many uses per bottle as most alcohol gels. 6. Pocket sized for convenience. 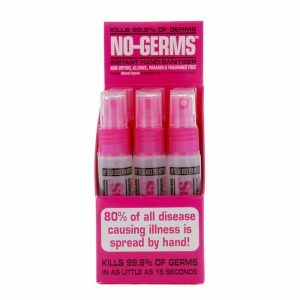 Great for your handbag/purse. 7. 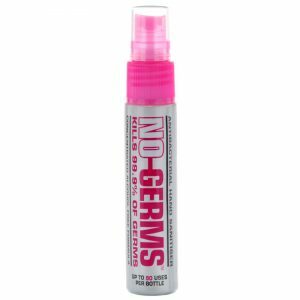 Suitable for use on Airplanes – Alcohol free so non-flammable. 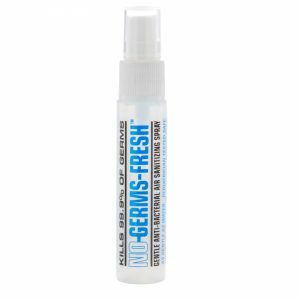 NO-GERMS™ Instant Hand Sanitiser comes in a convenient 210ml, 50ml foamer and a 25ml fine mist spray.